I said i'd got some more autumn recipes up my sleeve, so here's my second one. 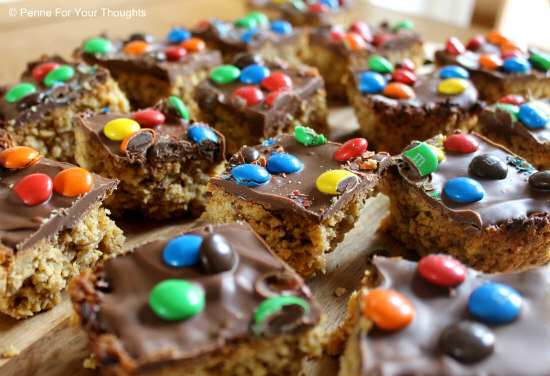 Flapjacks. 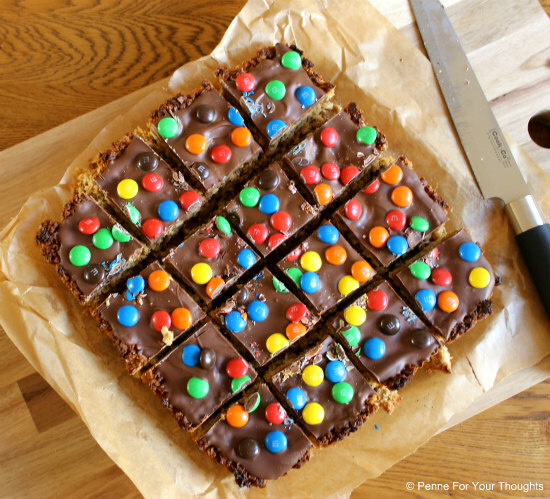 But not just standard flapjacks, these ones are extra naughty as they're topped with milk chocolate AND chocolate M&Ms. I always think flapjacks are an easy bake and one that's great when you fancy a sweet treat but don't want to make anything fancy. You can make this recipe with pretty much just store cupboard essentials and the results are delicious. I've tried many flapjack recipes, and often they can result in flapjacks that fall apart or are crumbly. The recipe I used here is from Lyle's website, but with a little more golden syrup and can honestly say they are the best I have had so far, resulting in a sticky gooey flapjack. 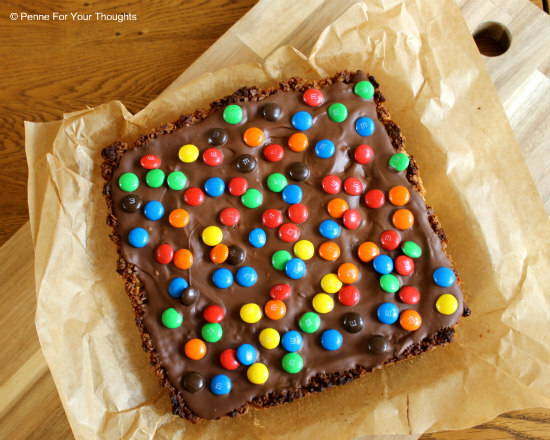 I think these flapjacks would also work really well topped with the peanut or crispy M&Ms and give an extra special crunch and flavour, if you try these variations do let me know in the comments! 3.. Once melted and combined, add the porridge oats and stir until all of the oats are coated in the butter/syrup mixture. 4. Transfer the oat mixture to the tin and level out with the back of the spoon or a spatula. 8. Remove from the tin and slice into slices, size up to you but I made 12 large flapjacks.